When David laments in the psalms or Job complains to God, more often than not they accuse God of hiding His face. They know what we have forgotten; the answer to our suffering is never the specific solution for which we cry out. It is not some cure or provision that we really need. We never ask for what we really need, and so it is no wonder that we are so often disappointed in our prayers. Because what we need is Presence. We need to see the Face of God. 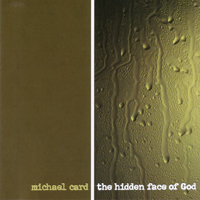 This is a collection of songs about the dilemma of finding that hidden Face. There are songs about lament as well as laments themselves. The collection is offered as "companion songs" to sing along this difficult journey.